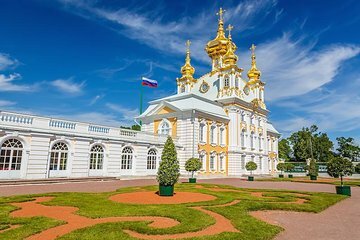 Spend a half-day exploring the residence and grand gardens of Peterhof Palace, an 18th-century imperial property that's often called the 'Russian Versailles.' Stroll the fountain-filled grounds, marveling at the impressive bronze statues and Grand Cascade as you go, then make your way inside the Grand Palace to view an array of restored private rooms, each lavishly decorated to their times. Don't miss your opportunity to explore one of the region's most exquisite landscape parks.